Digital marketing is an unavoidable part of growing a beauty or skincare business. Other forms of marketing may still draw customers, but digital marketing is the real breadwinner. 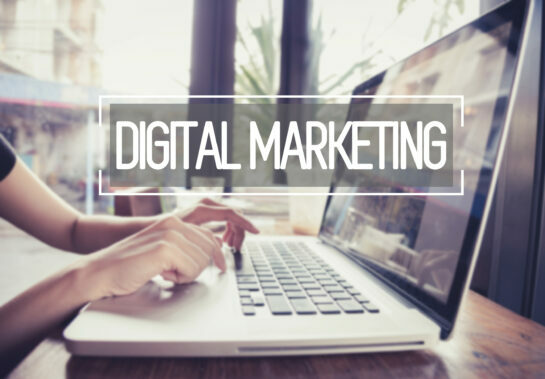 This article explores some basic questions and offers a rough and ready guide to implementing your own digital marketing campaigns. Our focus is of course on skin, hair, and beauty products, but this advice is valuable no matter your business type. Feel free to check out our previous post, “What is Influencer Marketing“. What is the customer’s problem/desire? This relates to what value your product can provide to a customer. If it addresses a need, it means the customer is searching for a solution and is using the internet to do so. They have found your site—but do you know how? Through great SEO (search engine optimization and keyword use)? Referred links from other sites? Word of mouth? It’s important to understand how a customer got to your site so you can flesh out any weak spots and enhance your strengths. If mobile is the future then why are my conversions low on mobile? This is a common frustration, but it’s important to remember that many people will identify a product on mobile, but complete the transaction on a desktop or laptop. I think we can all relate to the frustration of a small screen in the buying process, so consider truly optimizing the user experience for mobile. This means finding a way to record who is interested in your product(s). Get those emails! Offer a newsletter sign-up, or provide a discount to anyone who joins the list. As you get more advanced you can add ‘pixels’ to landing pages, but that type of detail is outside the scope of this article. The main idea here is to entice people to give you their email or contact info so you can pursue warm, rather than cold leads. Harness the power of influencer marketing. Partnering with influencers (see this blog for a definition) with a small following—let’s say 1-5 thousand people—can be a great way to grow your brand. It provides a valuable space for an authentic review and promotion that is worth more than any ad. People are relying more and more on peer reviews and social trust when choosing products, so be sure to find a suitable influencer and allot a little of your budget for the purpose. Don’t shy away from video marketing. Video marketing is more important than ever—YouTube has 1.5 billion users, so you can’t afford to ignore them. It is also one of the largest search engines, so make sure to provide valuable content. It can be intimidating coming up with video content and equipment, but both are manageable. Modern phones are well-equipped for simple video taking and editing, and there are many ways to develop content. Share your hard-won knowledge with viewers, film ways to use your product, or create a ‘weekly insight’. Whatever it is, make sure it adds value either through education, entertainment, or ideally, both. Social Media is your best friend! Social media permits you to produce content, gain followers, and advertise, all for free. However, social media ads are critical to growing your brand. Whether you have a budget of $1, $5, or $100,000 a day, a well-targeted ad can work wonders for growing your following. Social media can help new and old businesses attract new customers. This all boils down to one thing: jump on in! You may have to learn new skills, new programs, and devote more time than you thought, but it’s possible for anyone to excel at it. There are many resources available for companies at any stage of growth or tech experience, so we encourage you to dive in head first. Remember, strategies can be changed and funds re-allocated. You won’t have a disaster to face if a campaign isn’t working—just cancel it! We’ll continue to elaborate on marketing throughout our blog, so check back often and let us know where you have questions.